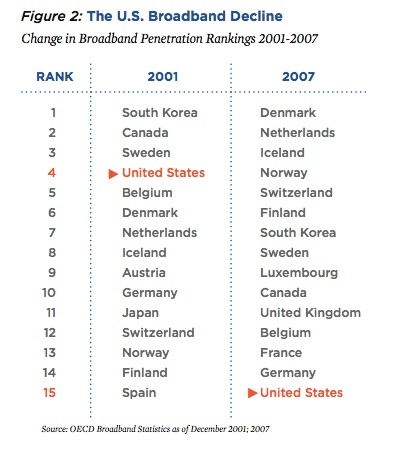 The USA ranks 15th in broadband adoption, which is key to getting more access for rural areas. Germany, where I live, has dropped from rank 10 to 14. The table is from a publication by InternetforEveryone.org called One Nation Online. Also see the OECD report, The Future of the Internet Economy. Of course, the US, Germany, Sweden etc. are still doing comparably well in terms of overall Internet access. World internet usage statistics showing general access add perspective. Robin Chase mentions her green web-based companies zipcar (car rental) and goloco (ride sharing). Launch of InternetforEveryone.org at the Personal Democracy Forum in New York City (June 24, 2008).